How can I set up the social share image for my social wall? Sharing your wall on social media is more fun with a great sharing image. 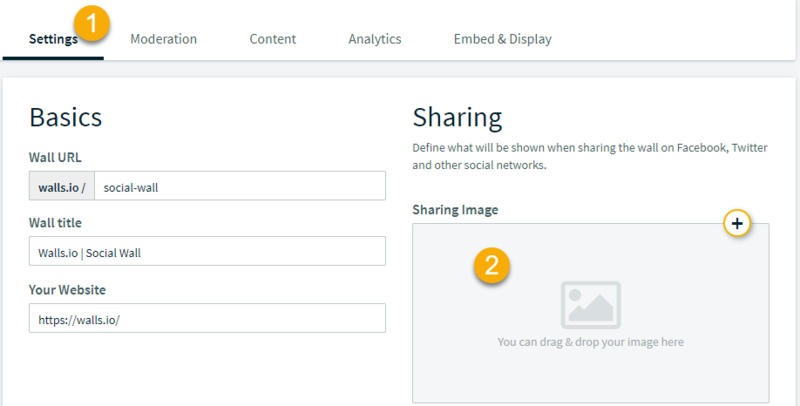 Drag & drop your image in the "Sharing image" section. The best size for the sharing image is 1200x630 px. 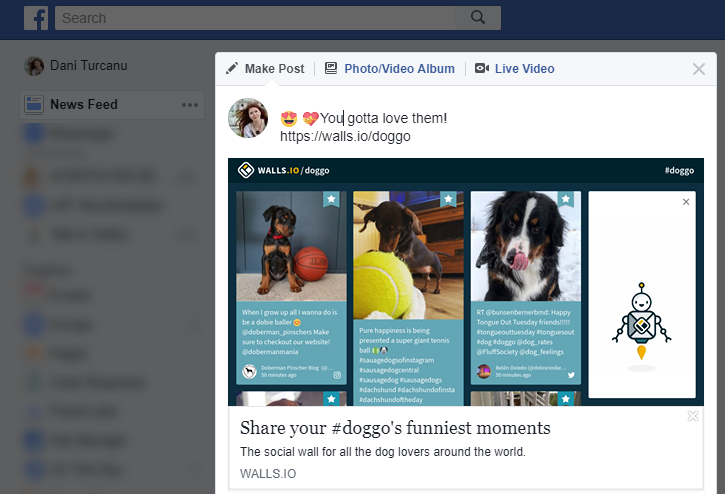 We are automatically generating a screenshot of your social wall which we use as a sharing image in case you don't already have a custom image setup. We regularly update the screenshot in case you wonder what happens when you change your theme or customize your design.